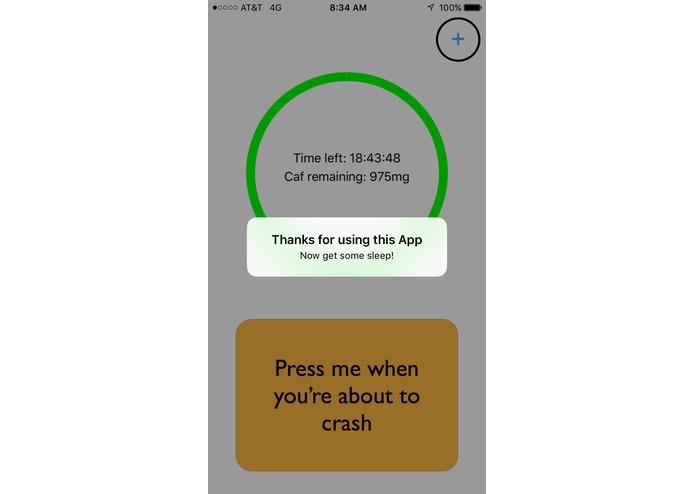 This is an app that will help caffeine enthusiasts track and manage their caffeine consumption with minimal crashing. Screenshot while it's it use. It displays how much time is left before crashing/feeling sleepy and amount of caffeine left in the body. Introduction screen. 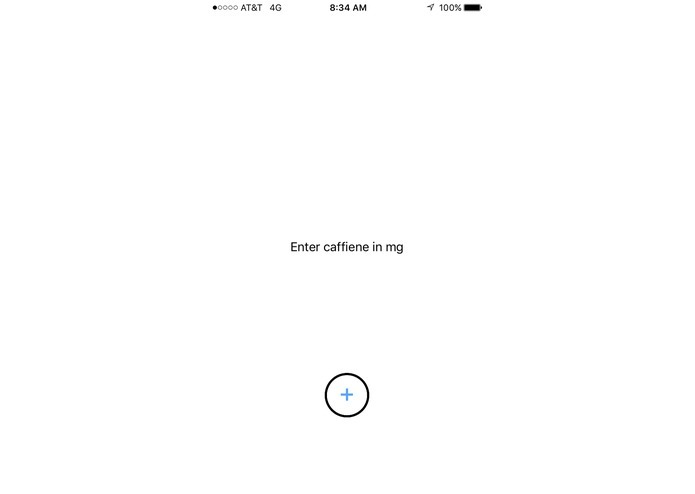 Caffeine must be inputted by the user before the app starts to calculate and work. This is the menu where in which amount of caffeine is inputted. Closing/ending message when the user is done with the app. Midterm season is coming up, which means caffeine consumption is at an all-time high. 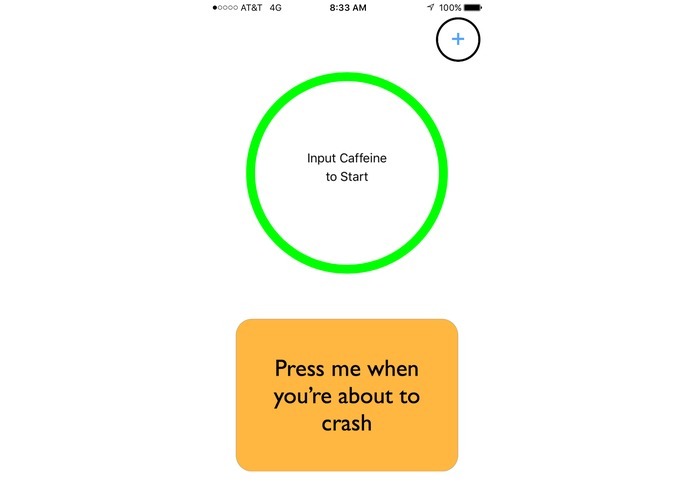 We wanted to create an app that would help students to maintain safe caffeine levels while preventing them from crashing. The app asks the user how much caffeine they've had. and calculates how much caffeine is left in their system and how long they have until they'll crash. We split into two major groups, on group working on gathering research data and developing a custom algorithm from scratch, and the other working on the user interface for the iOS platform and implementing the algorithm the other team had developed. Optimizing the algorithm to customize the amount of time until crashing based on the user's unique input. We also ran into trouble with animating the donut graph corresponding with the time until crashing. Creating an algorithm that used machine learning to predict the amount of time until crashing for each user. Also the donut graph was pretty cool. A whole lot about caffeine absorption and metabolism rates. Also, we learned to allocate jobs to evenly distribute workloads to finish the project in time. We hope to implement an improved algorithm that tells the users whether they're at a safe caffeine level based on their weight, and also to create a graph that shows the users the amount of caffeine in their systems over time. I worked on developing iOS app and implementing and optimizing the algorithm our research group has developed. I researched the rates of caffeine absorption and metabolism, and designed and implemented algorithms to calculate the amount of time before you crash and the instantaneous amount of caffeine left in your system.